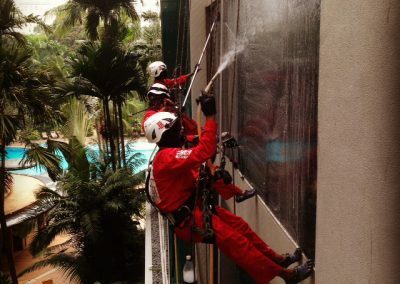 Rope Access, as the name implies, is an access method using ropes and climbing techniques to reach difficult areas. 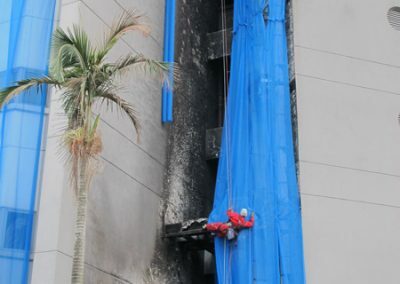 Rope Access allows for the performance of a wide variety of work at high elevations and other hard to reach areas without scaffolding or heavy equipment. 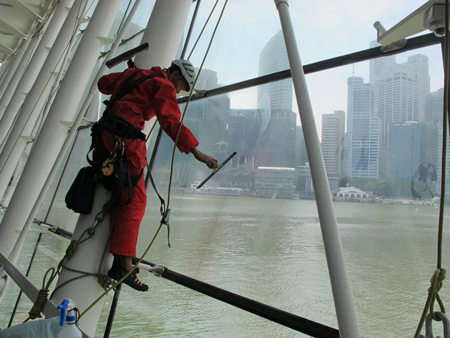 Rope Access evolved from techniques used in rock climbing and caving to become a useful tool used by various industries to clean and maintain high facades in a cost effective manner. 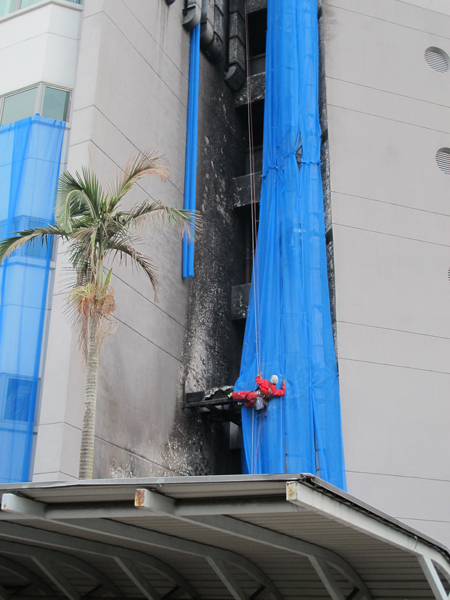 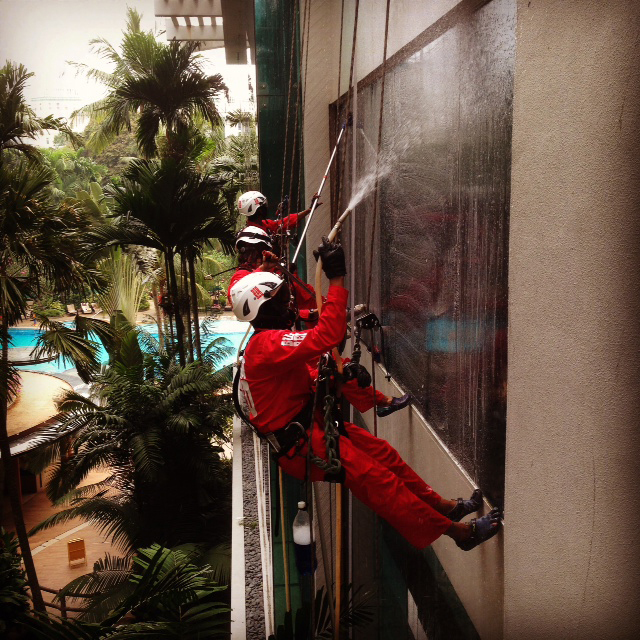 Big Red is Singapore’s leading facade and rope access cleaning company. 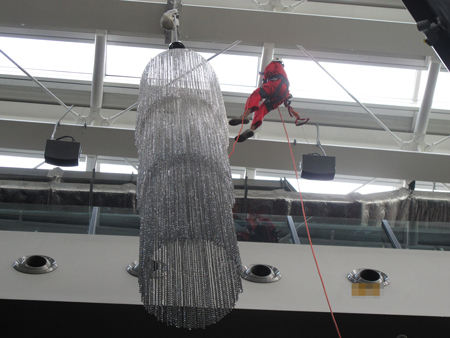 Our experienced rope access technicians can reach great heights safely, effectively and timely. 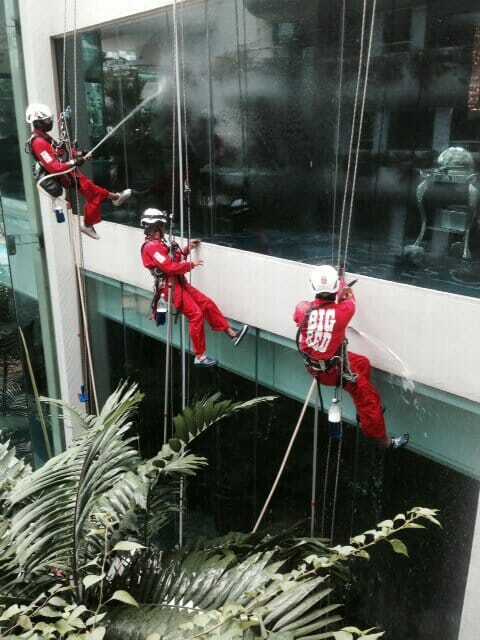 Wherever there is an access need, we can be of assistance. 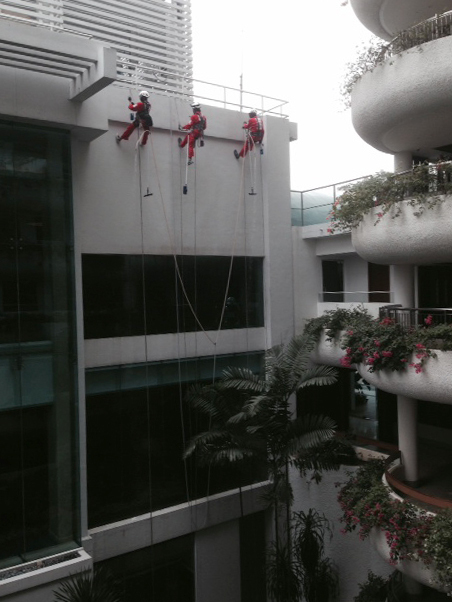 Big Red’s facade cleaning service provides work at height solutions throughout Singapore. 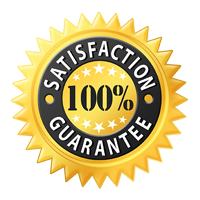 Our Big Red Facade Cleaning Satisfaction Guarantee! 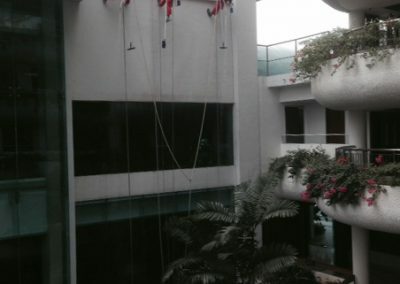 If you are not satisfied with the service from us, we will return to your premises with no obligations and re-clean any area you feel needs additional attention. 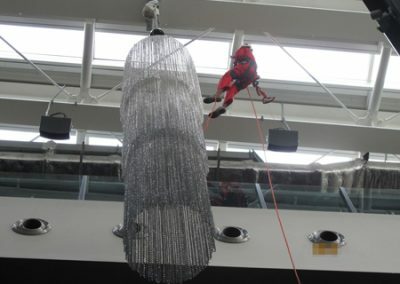 call Big Red now at 6241 9443!